Wow. That was the headline that rotated on the main billboards at AOL on Tuesday. I could only imagine. I had to click on it. It came with a video of that mistake, and another video of someone analyzing the video of the mistake. That’s a lot of clicks. That was it. Absolute worst mistake ever? It went viral, not just on AOL, but also on other sites. It surely embarrassed Simons, who became a bigger story than the people he was there to write about. So let’s look at it. Yes, it was a reflection of media today, but not of Simons. The coverage of the story was far more embarrassing than the story itself. Look, this wasn’t about a mistake. It was about something done on purpose. A reporter made one of those little embarrassing mistakes that anyone can make. It was dumb. Fine. Also, it was irrelevant. This tiny thing was just barely enough, with video, to produce a massively overblown headline that was unquestionably untrue in nature and in fact. Is that really what we’re about? The worst mistake in American journalism history was that a writer did not write that Mahut had won, did not publish it. He asked a question, found out, embarrassingly, that the premise of his story was wrong and apologized. Worse than “Dewey defeats Truman.’’ I once covered a college basketball game and wrote that it was thrilling for the final 3 minutes, but boring for the first 57. College games last only 40 minutes. Worst mathematical mistake ever! And that was the worst fumbled pronunciation of all time, after John Travolta trying to introduce Idina Menzel at the Oscars, of course. I am not in Paris this year, but I have a pretty good guess as to what happened. I can guarantee you that Simons was not writing a column about a match as irrelevant as Nicolas Mahut vs. Mikhail Kukushkin. 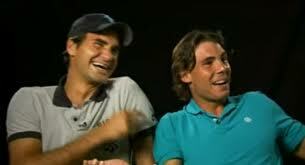 The winner was scheduled to play Isner next. That was the peg. Best guess is that French Open officials announced that Mahut was in the interview room. The reporter asked someone if Mahut had won. He was told that yes, he had won. And Simons then ran to get some comments about how the Isner marathon affected Mahut’s life. When he found out that Mahut had lost, he still had the floor, but didn’t have anything to ask or write. If you want to put up that video because it’s funny, then fine. It is kind of a funny little slip-up. But at least be honest. I am as much of a sucker for these click-magnet things, too. (No cat videos, though). At the Australian Open a few years ago, I wrote a quick thing after player Donald Young told me his match had been delayed when a ballboy peed on the court. The kid ran off and they had to bring out blowers to dry the court. Just silly. It was not the biggest accident in history. I should point out one more thing: For nearly two years, I wrote for AOL. It was a great job, actually. In fact, it was the greatest job in the history of the world! It was 7-6 in the tiebreaker Sunday at Wimbledon, and Novak Djokovic was about to lose. “Moment of Truth,’’ he yelled, trying to pressure and intimidate the, well, the kid on the other side of the net. It was the middle Sunday at Wimbledon, the day off. The Bryan brothers got off their practice court at the same time Juan Martin del Potro got off his, and they took pictures together. The Bryan Bros. posted one on their Twitter account. Djokovic had somehow run into a highly ranked junior boy, and they practiced together for a few minutes, then played a tiebreaker. Djokovic was screaming at him, trash-talking him. Still, the kid won, and Djokovic dropped and gave five pushups. This all comes together as just another example of a strange cultural truth in tennis that has become more and more evident the past two weeks: For some reason, the women on tour don’t seem to get along with each other, and the men do. 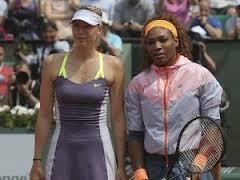 This Wimbledon started with a storyline about the bickering between Serena Williams and Maria Sharapova. Their dislike of each other was never exactly a secret, but it had never been this open before. Serena took shots, presumably at Sharapova, in an article in Rolling Stone magazine, and Sharapova shot back that if Serena wants to talk about personal things, she should stick to the fact that she’s a homewrecker. It just seemed like a fun-to-watch personal thing. But more and more, things anecdotally keep popping up to show that it’s bigger than that. 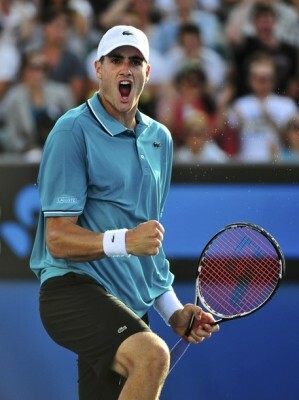 By contrast, Isner said that on Monday, he and Roger Federer happened to be in the locker room at the same time.